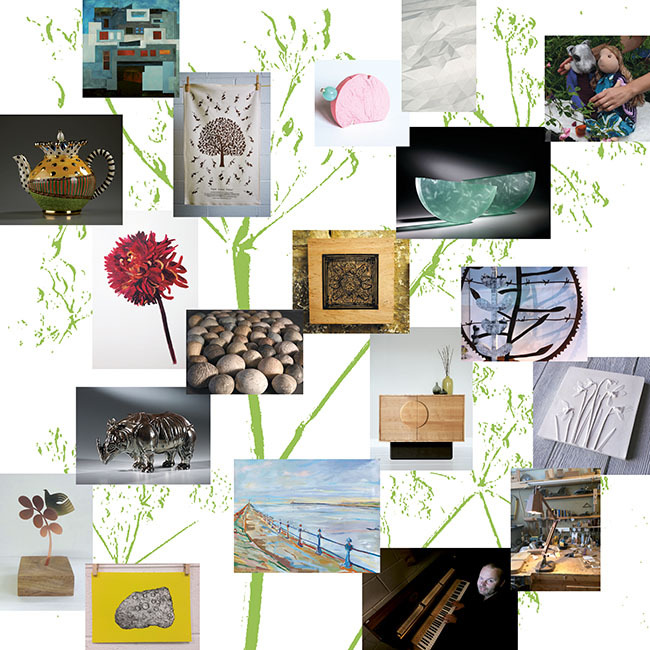 22 artists and makers will be opening their spaces over all five levels of our beautiful listed building at the heart of the Ouseburn. Over the weekend you can meet the makers, buy or commission outstanding work directly from our members and see behind the scenes. Furniture, paintings, original prints, jewellery, glass, textiles and lamps are just some of the high quality items available from our studio members who have a well-established reputation for excellence. The theme for the Spring Open Studios exhibition in our street level gallery is “Change”. This is inspired by the centenary of the first votes for women: artists and makers interpret this as change in their work, life or the wider world. You will also have the chance to buy raffle tickets: covetable miniature prints designed by our members and printed by Lee Turner of Hole Editions. This raffle will help raise funds for essential building works and prizes include items made and donated by our members as well as vouchers from Boilerhouse Ouseburn Hair Salon and other local businesses. Marking 100 years since some women were given the vote, come along and make your own mini-placard using traditional wooden type set in an Adana Printing press. This is a fundraising workshop, with all donations (suggested £1) going to Artists Union England, a trade union set up four years ago by a group of mainly women artists. This 3 hour workshop will enable students to make a large sketch book using selected drawing papers and a hard, decorative cover. It will teach basic Coptic stitch, a beautiful binding with exposed decorative stitching allowing the book to be opened flat, ideal for drawing use. Learn how to make a cast by pressing plants, flowers & interesting objects into clay. Workshop lasts aproximately 20 minutes and costs £10. Lee will be live printing ‘Hægtesse‘ by Iris Priest. It is the latest of his mini subscription prints. It is £25 and only available to reserve or buy before 5 pm on Sunday the 18th March 2018. 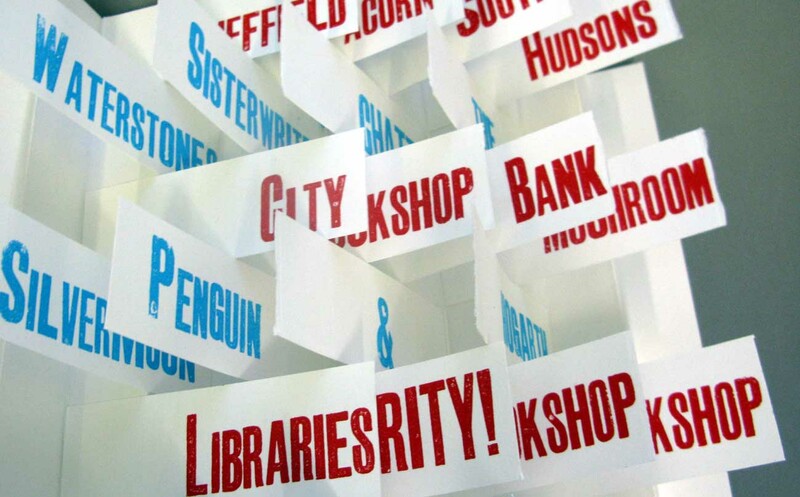 This day long, introductory printmaking & bookmaking workshop with Theresa Easton will give you a host of ideas and techniques to create your own artist’s books. Using simple & quick relief printing techniques this workshop will give you the chance to create a series of handmade stitched books. At the end of the day, you will create a pamphlet book, Japanese Stab bound book and a Turkish fold book, made from your own original prints. email theresa_easton@yahoo.co.uk to reserve your place for any future dates.